This course looks at the life of the average family business from set up to sale or succession and into retirement from a capital taxation point of view. Accountants are very good at dealing with clients where they are in business. However, sometimes we forget about the client as a person so that when they sell their business, we often lose them as clients. Why? With the concentration of wealth in the baby boomers, this is a rapidly growing sector which needs our skills. It will also help if we are going to be their executor. This Government and its predecessor have constantly amended capital taxes with both IHT and CGT each receiving their share of attention in the last few years. However, the legal framework for “wealth management” has also changed as Trust law, Pensions law and practice and many other areas evolve. 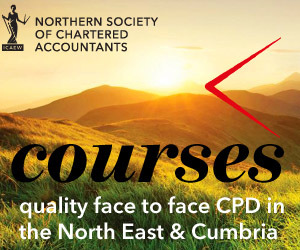 The aim of the course is to update delegates on not just recent Capital Gains Tax and Inheritance Tax developments as they affect the family but also how we see they work in practice including pitfalls and planning opportunities given all the other changes. Strategies which were traditionally offered to reduce these taxes have dramatically changed over the last few years. The changes to pensions (the new freedoms) and their affect on Capital Tax Planning. Business & Agricultural Property – 100% relief, are you sure? The course will include a number of case studies to illustrate the relevant points.